I have spent the majority of my life on the move. For many 20-somethings, traveling throughout the country and world is not an uncommon rite of passage where one spends time seeing new places, living among different cultures and, most importantly, getting to know yourself. 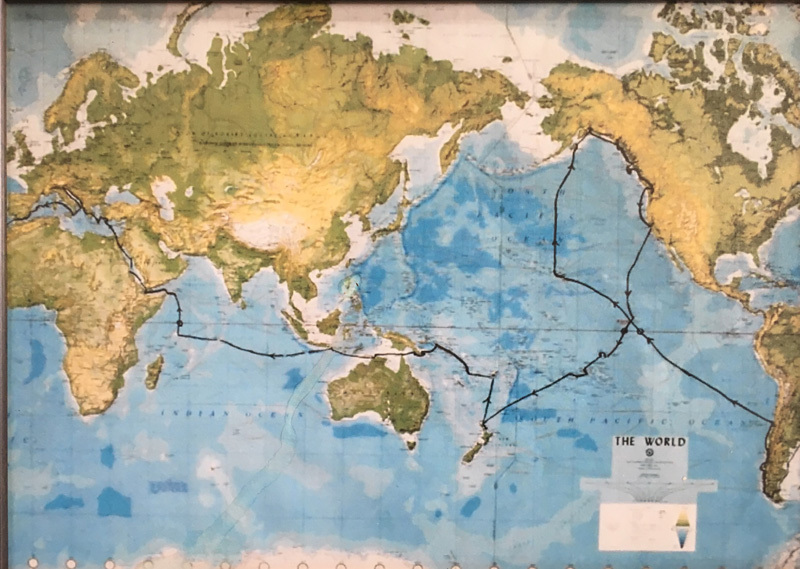 I don’t exactly remember my grandparents spending two years circumnavigating the globe by sailboat, as I was still pretty young. But from early on in my life, I observed how to make the most of every daylight hour, how literally no ocean was too wide, or mountain too tall. How if you go though life with kindness and compassion, it brings joy to one’s soul and those around it. 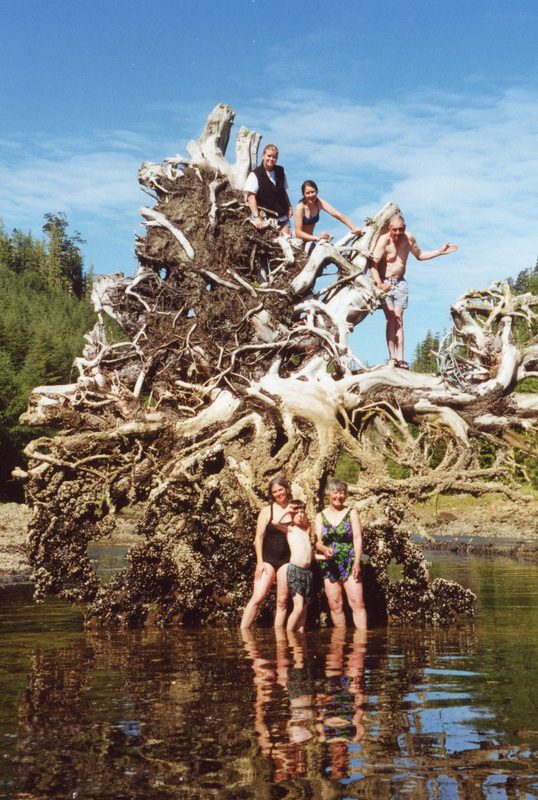 Maya Black’s grandparents circumnavigated the globe, which could explain her love of travel. Photo courtesy of Maya Black. Looking back, I appreciate the lessons I learned trekking up to Everest base camp with just my dad and a climbing pack. At 13 years old, I learned the metaphorical theory that seemed so impossible for those 14 days. Slowly, methodically, placing one foot in front of the other for long enough does get you there. And, most importantly, the joy is in the process! Don’t be in such a hurry that you get burned out or forget to observe the view along the way. This has helped me so much in my life with horses, as it is a rare day when things go completely to plan, and every show results in a blue ribbon. But if one finds joy in the little things, in the process—for me it’s a life worth living. I feel fortunate that I was able to do this myself—albeit not in the conventional sense for my in-general non-horsey family. A decade ago, I was determined to take time off from college and move east for the first time. 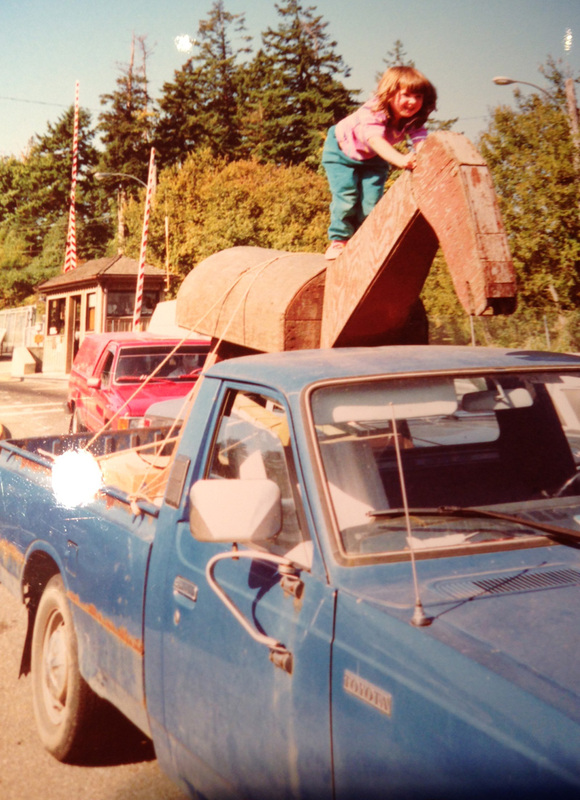 Since then, I did a stint in Europe and then returned to the U.S. where I bounced back and forth between working on the East and West Coast with my event horses in tow. For me, as is true for many eventers, I have gotten quite comfortable on the interstates. Having driven though nearly every state in the continental U.S., I have made many friends, visited horse motels, repair shops and barns around the country. Maya exploring the Pacific coastline with family. Photo courtesy of Maya Black. It’s no secret that eventing in America varies greatly depending on where in the country you are. While I admit I am biased, I feel that eventers in general are a hard working, gutsy, kind bunch of people—no matter where in the world you find them. However, the nature of the competitions, facilities, training opportunities and types of footing depends greatly on geography. From an outsider’s perspective, it would be easy to say that the East Coast is the obvious choice to base oneself while pursuing a career in eventing. It’s where most of the big competitions are as well as the majority of top trainers and riders in the country. The competitions are often in such close proximity that you can take horses to a one-day event in the morning and be back home by afternoon for lessons with a variety of top dressage and show jumping professionals, or take a gallop up the legendary conditioning hills. While there are so many opportunities and amazing things to take advantage of when you’re situated within the “hub of the sport,” it’s also easy to feel as if you have stepped onto a hamster wheel. Competing amongst the best in the country is essential in order to continue to get better, but it’s not just a coveted team spot you’re in a rat race for. The East Coast eventing meccas are saturated with many of the best professionals in the U.S. and the world, so you’re competing for clients, owners and sponsors—the vital resources who not only make it possible to thrive at the top end of the sport, but also put food on the table and clothes on your back. Maya had a love of horses from the start. Photo courtesy of Maya Black. The West Coast offers a different way of life. Everyone seems to be in a bit less of a hurry, and time is spent enjoying the littler things. It’s easier to take the time for a walk on the beach and enjoy the view of the mountains. While feeling separated from the center of U.S. eventing can be difficult, it gave me a chance to feel like I could have a bit more of a balanced life. The barn is my happy place, and the place I would rather be than anywhere else in the world. But it was easier to look at the other facets that life has to offer outside of horses when I wasn’t amongst all of the constant bustling on the East Coast. Money, a core necessity of life with horses, was a bit more plentiful on the West Coast. Because there is less demand for it in general, vet care, farrier work and good quality hay is much more affordable, at least in the Pacific Northwest. I would be lying if I said that being a bigger fish in a smaller pond wasn’t a contributor to making the West Coast an attractive option for me. Fewer top-level professionals means less competition for students, clients, owners and sponsors, which in turn can lead to a stronger livelihood. Basing out of my family farm on Whidbey Island off the coast of Seattle on and off over the years allowed me to produce horses in a low stress, inexpensive environment, away from it all. It’s easier to take the time needed with horses when the cost of having them is so much cheaper. Living on the island of course presents its own problems, one of which is being a ferry ride away from almost everything! Maya’s always had an adventurous spirit. 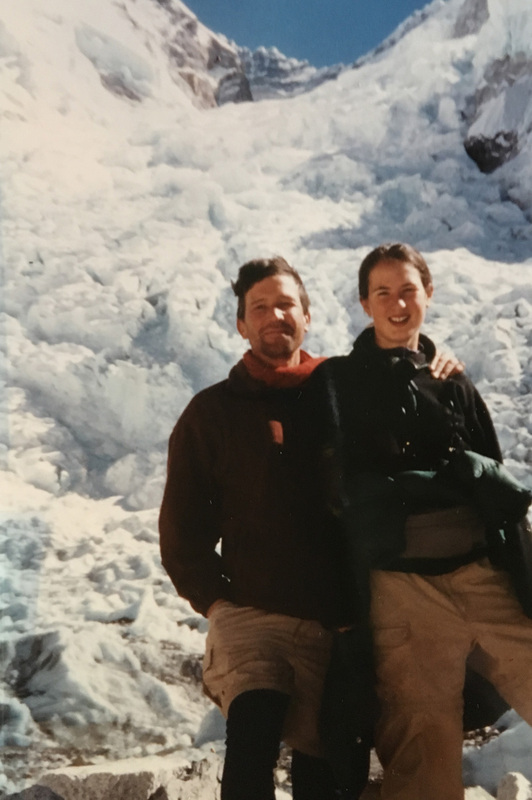 She’s shown here with her father at the base of Mount Everest. Photo courtesy of Maya Black. My cousin Adrienne Lyle and I grew up together on this farm riding everything we could get our hands on from dawn to dusk. We dabbled in various disciplines and honestly didn’t have much in the way of “formal” training and competitions outside of Pony Club until much later in our teenage years. We developed feel and instinct by spending countless hours in and out of the saddle working with and on different types of horses. West Coast events are not nearly as frequent as those on the East Coast (especially those offering the upper levels). While this certainly presents challenges, there is also some merit in putting more emphasis on the events that are available, when there isn’t another one around the corner the following weekend if things don’t go according to plan. There is more emphasis put on horse trials on the West Coast. On the East Coast the horse trials are often used as practice or to move a horse up a level, while most of the attention is on the FEI classes. You would be much harder pressed to find a West Coaster unbraided for novice show jumping at a horse trial if they were in the top five. They are an extended weekend affair where you can find the majority of the community camping in their horse trailers and enjoying everyone’s company. Because of this, in some ways the West Coast community is a tighter knit group. Just like the East Coast, the West Coast has some beautiful events with fantastic courses designed by some of the best in the world. It may take a bit more driving to get to some of these events (depending on where you live), but there are more then enough events of superior quality to prepare you for any of the CCIs in the world. While the level of competition may not be the same, I personally have found that if you are receiving low dressage scores and finishing on them on the West Coast, then you will likely still be very competitive on the East Coast—or anywhere really! I feel very fortunate to have lived, worked and ridden at so many different places. Having experienced the sport and way of life around the country has given me various perspectives, which in turn have hopefully made me a more well-rounded horse person. 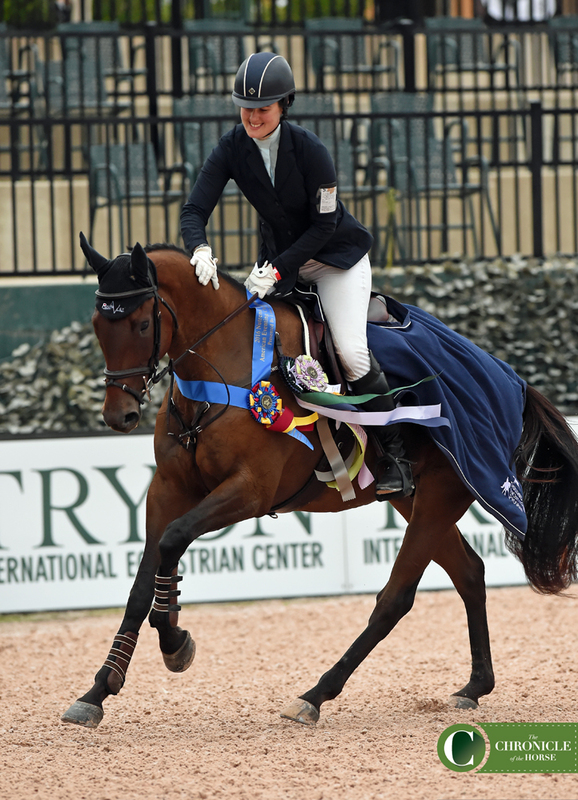 Maya Black has high hopes for her off-the-track Thoroughbred Mowgli, shown here winning the preliminary horse division at the 2016 Nutrena/USEA American Eventing Championships. Photo by Kimberly Loushin. There’s no right way to do something. There’s no single path for success. It’s all about the journey and what you learn along the way. The Pacific Northwest will always be my heart, but for me, I made the choice to come back to the East Coast. This was not because I felt that I couldn’t have been a successful upper-level rider and professional in Washington, but because at this stage in my career I do want to be in the thick of it. I do want to be constantly competing against many of the best we have. I do want the opportunity to ride with the living legends on a continual basis. I do want my chance to become the best rider and horse person I can be. I look forward to the day I return home to share that knowledge once again. Maya Black was raised on Whidbey Island near Seattle, where she grew up riding through Pony Club and achieved her “A” rating. While Maya realized her love for eventing early on, she received a strong background in dressage by growing up alongside her cousin, Adrienne Lyle. Maya has worked for Adrienne and Debbie McDonald on numerous occasions. In addition, Maya has worked for notables such as Jan Byyny, Sally Cousins and the late Amy Tryon. She also spent some time in England working for Mark and Tanya Kyle. In recent years, Maya has also trained with the U.S. Eventing Chef d’Equipe Erik Duvander, Linda Zang, Brian Murphy, Silvio Mazzoni, Jacquie Brooks, as well as Karen and David O’Connor. Maya prides herself on producing young horses by giving them correct and confident basics. She produced a two-star winner from a 3-year-old and finished third at Rolex Kentucky in 2016 aboard Doesn’t Play Fair, another horse she brought up through the levels. She was named the reserve rider for the Rio Olympics that year.